On this page you will find information that was specific to our Employment Expo from 2012. Click on the tabs below to review the information. Embracing our theme of celebrating and advancing the participation of people with disabilities in Manitoba’s workforce, we were pleased to feature a full day of engaging activities and events on Thursday, May 17, 2012. You can also check out the 2012 Employment Expo program. The EXPO kicked off with a lively Best Practices Breakfast, featuring a full-course breakfast, lively networking opportunity, and captivating presentations. Everyone was welcome to attend, but this event was primarily intended to celebrate and encourage Manitoba employers. We were pleased to welcome Gary Karp as our keynote speaker. Gary is a leading voice for the modern disability movement - spreading the word of the historic emergence of people with disabilities and all it means in our lives, the workplace and society as a whole. His work as a writer, teacher and advocate draws on his personal experience with a spinal cord injury. The Exhibit Hall featured an exciting array of exhibit booths. Dozens of exhibitors showcased their products, services and job/career opportunities. Companies were there to share information on jobs and career paths in their workforces and industry. Government programs were there to explain how they support job seekers and/or employers to make successful employment outcomes. Community organizations were there to explain how they can assist employers in the hiring and retention of folks with disabilities. Advances in access technology were on display. There was an abundance of information and resources for job seekers, employers, and the community at large. Gary Karp (Modern Disability) - In addition to Gary's morning presentation, we are thrilled to announce that he presented a general session presentation in the afternoon. Denise Bissonnette (Diversity World) - Denise delivered an inspirational seminar for job seekers with disabilities. Attendees were able to take advantage of several free seminars throughout the day. Below is the list of Exhibitors at the 2012 Employment Expo. Click on any of the links to read the summary information that our exhibitors have provided. 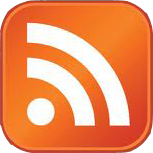 Links are provided to their websites if you would like to read about them further. We hope you had a chance to visit all the Exhibitors at the 2012 Ability Axis Employment Expo! The Ability Awareness Centre for Canada Inc. was created in 2011 by Gil Forrest, FCGA . The mission of this new firm is to assist folks with physical or mental challenges to establish a Disability Tax Credit claim with Canada Revenue Agency. Although qualifying for a DTC can lead to a substantial tax refund, our mission is to create awareness of other tax benefit, which we feel are even more important, particularly for parents of a disabled child. With headquarters in Vancouver as well as offices and representatives across the country, Aroga Technologies has been serving the needs of Canadians with disabilities since 1987. During this time we have assisted thousands of individuals pursue employment, education, and most importantly, a more independent and rewarding lifestyle. We offer state of the art hardware and software solutions across a wide span of categories – including solutions of Low Vision, Blindness, Communication, Physical Access, and Education – making us the most comprehensive Assistive Technology retailer in Canada. Artbeat Studio Inc is a unique community based, peer directed program that provides social supports, free working art studio/gallery space and mentorship for individuals living with mental illness for the purpose of recovery and empowerment. Artbeat Studio is committed to decreasing stigma and discrimination that coincides with mental illness and poverty through positive action, mental health education and advocacy. Assiniboine Credit Union is a successful cooperative committed to financial, social, environmental and ethical responsibility. ACU manages assets exceeding $3 billion generated by more than 108,000 members in Winnipeg and northern Manitoba. Assiniboine offers competitive services and products, and works with community leaders to foster self-reliance and strong, sustainable communities. They are committed to doing business in a way that contributes to the well-being of their employees, members, the communities they serve and the environment. In addition to being a strong financial cooperative, Assiniboine has been recognized nationally, provincially and locally for leadership in corporate social responsibility. Bison Transport is one of the largest truckload carriers in Canada, serving Canada and 48 states in the U.S. As a high-service, dependable and value creating supply chain partner, Bison Transport offers full service logistics, dedicated fleet operations, yard management and warehousing, and distribution. We have achieved Platinum status as one of Canada's 50 Best Managed Companies. Bison Transport is a four time Grand Prize Winner of the highly coveted Truckload Carriers Association National Fleet Safety Award. As well, we have received numerous awards for our environmental and technological initiatives. At your local CNIB Career and Employment Services office you will find a range of programs to assist you in finding and maintaining employment. In addition to working with employers and the government to raise awareness of the need for more training, funding and prospects for blind and partially sighted people, we work directly with you to build your confidence, develop new skills and find opportunities in the job market. Cargill Limited, a Manitoba Top Employer, is headquartered in Winnipeg, Manitoba and employs over 10,000 people across Canada. The company had been recognized in The Globe and Mail’s Best Companies to Work For in Canada and was recently awarded the Canada’s Top Employers for Young People award for 2011. Our employees work in fields, labs, mills, kitchens, offices, production facilities, and on trading floors. They wear hard hats, crunch numbers, seal deals, invent new products, and improve processes. Our goal is to employ great people with imagination who are committed to delivering the best ideas to the industries we serve. Cargill is a Silver Sponsor of Ability Axis. (CAHRD) Centre for Aboriginal Human Resource Development Inc. is a non-profit, human resource development organization that delivers Education, Training and Employment services to the urban Aboriginal population of Winnipeg. CAHRD offers comprehensive services to job-seekers that can lead directly to employment through job preparation (interview skills, resume workshops, job referrals), and assisting clients with accessing further education and training. Community Living Manitoba is celebrating its Diamond Jubilee as an organization dedicated to the full inclusion in the community of persons of all ages who live with an intellectual disability. We believe that all members of the human family are full persons and cannot be reduced to words, labels, categories, definitions or genetic patterns; all persons are unique and ineffable; all persons are entitled to respect and dignity; all persons are entitled to equal access and opportunity to make decisions and choices, and, when necessary, to receive support to do so; & all person’s lives are enriched through relationships and friendships. Community Living Winnipeg is not-for-profit organization dedicated to enhancing the lives and status of people living with an intellectual disability by promoting full inclusion and participation in the community. We provide individual consultation, information and referral services, social and skill building opportunities, training and workshop sessions, as well as activities for youth during the summer and throughout the year. Connect Employment Services Inc is a not-for-profit employment service in Winnipeg, Manitoba that supports adults with intellectual disabilities. We believe that all people deserve the opportunity to work and participate in the community, where they are respected and rewarded for their efforts, skills and accomplishments. Connect supports people who want to work in an integrated community setting - in a job of their choice, respective of their interests and abilities. We provide services to help people work - including assistance with job preparation, job search, transportation training and job training. We are excited to be a part of the Ability Axis Employment Expo. Please drop by our exhibit. We offer training and consulting services for organizations who are engaged in workforce diversity and workforce development. We also sell a variety of books, DVDs, and similar resources - many of which will be available for purchase at our booth. We hope to see you on May 17, 2012! Eastman Employment Services (EES) offers employment assistance to people with intellectual, social, physical and learning disabilities as well as mental health issues or other barriers to employment. Services are provided to those in Southeast Manitoba that are unemployed or underemployed and are motivated to seek employment. EES helps individuals who have had difficulty accessing the job market develop the skills and contacts necessary to obtain and maintain meaningful paid employment in the community. This includes providing support to employees and employers in order to achieve mutually beneficial partnerships. Enabling Access is an occupational therapy company based in Winnipeg, Manitoba, focused on injury prevention, ergonomics, wellness and early intervention rehabilitation. We support employers in creating a culture of health in the workplace, and individuals living with physical or mental health disabilities in reaching their full functional potential. Our proactive approach, innovative education and training, unique adapted fitness programs, and passion for creating a barrier-free community, set us apart from traditional rehabilitation companies. For more than 22 years, HumanWare has been a pioneer in mastering rapid advancements in digital technology to create and deliver humanized solutions that help people with blindness, low vision, and learning disabilities. Our highly advanced technology will never lose its human touch. HumanWare products have a profoundly positive impact on the lives of visually impaired and learning disabled people of every age. From advanced Braille products and electronic magnifiers to digital talking book players and beyond, our tools help end-users to live independently and compete effectively in today's world. The ILRC is a consumer controlled, cross-disability, non-profit organization that promotes and supports citizens with disabilities to make choices and take responsibility for the development and management of personal and community resources. Essential program components of the ILRC include, but are not limited to, the following: Information and Referral, Peer Support, Individual Advocacy, Personal Attendant Community Education, Increase Service Capacity through Research and Development. Programs designed to enhance inclusion, including such direct services as: Housing Assistance, Transportation, Entrepreneurial Supports, Leisure Education. Manitoba Customer Contact Association is an industry association made up of business leaders in the contact centre industry primarily based in Manitoba. MCCA members are devoted to the development and sustainability of a growing healthy and dynamic industry. MCCA supports the industry by coordinating training and networking opportunities to ensure the necessary skills are developed to meet the needs of the future. MCCA group members are also committed to educating the public and creating career awareness while dispelling the myths often associated with contact centres, promoting the industry as one where many careers begin and develop into a successful future. MFWD is a charity & our work is supported by volunteers. We offer training in accident prevention and demonstrate through the use of a motorized 1/16 scale farm machinery showcase, how quickly an accident can happen. We believe that through education & by sharing stories of farmers who have survived an accident, the causes of injuries & fatalities will be reduced. MFWD supports injured farmers & families through the rehabilitation process. We are proud of our volunteers & the work they achieve to make Manitoba a place where all people enjoy the rights & responsibilities of living & working safely. Safe farms – safe families! Come talk to us at our booth! Manitoba Hydro is investing in a bright future for Manitobans and our environment. We are a leader among energy companies in North America, recognized for providing highly reliable services and exceptional customer satisfaction. Manitoba Hydro is committed to attracting and retaining a highly skilled workforce that reflects the demographics of Manitoba. We are proud to be among one of the Canada’s Top 100 Employers for 2012 as well as one of Canada's Best Diversity Employers for 2012. Join our team as we continue to build a company that supports innovation, commitment, and customer service. The MLCC is an agency of the provincial government and is mandated with regulating, distributing and selling beverage alcohol within Manitoba. Revenue generated through the MLCC supports provincial programming in education, health care, social services and community projects. The MLCC is a challenging, diverse, and inclusive workplace, employing approximately 1,000 people at its Winnipeg Head Office and at Liquor Marts throughout the province. As one of Manitoba’s Top 10 Employers, Manitoba Lotteries strives to create a positive workplace environment for all employees based on mutual respect, consistent application of policies, fairness in all our practices, and organizational development opportunities to support business needs. Manitoba Public Insurance - We believe diversity strengthens us. Our aim is a workforce that reflects the communities we serve. At Manitoba Public Insurance you'll get the training, tools and encouragement you need to succeed. We provide a respectful, inclusive work environment and clear and consistent direction. Our people have the support they need to do their jobs and the opportunity for career growth and advancement. New Directions is a large, non-profit organization which provides a unique combination of human services to individuals in Winnipeg. Our staff positions include: Clinicians/Therapist, Counselors, Classroom Instructors, Employment Facilitators, Residential Treatment Workers, Development Treatment Workers, IT, HR, Accounting and Administrative Assistants and more. We offer programming and a variety of resources for the Deaf community, individuals with intellectual disabilities and the Aboriginal community and we strive towards a workforce that has fair representation of person with disabilities, Aboriginal persons, visible minorities and women. Please visit our booth to learn more about us. At Opportunities for Employment, our mission statement is... To equip individuals to achieve greater independence by pursuing and maintaining meaningful employment. For more than a decade now, OFE has assisted over 6,500 individuals find and keep meaningful employment. Today we employ over 35 professionals located in one of two locations who have a passion for helping our unemployed Winnipeg residents in their journey to self-sufficiency. Check out our programs: General Employment Assisted Services (See booth for complete program details); Mature Worker Program; Stages of Change for Persons with a Disability Program; Community Home Services Program. And most importantly... all of our services are at NO COST to you! The Partners for Workplace Inclusion Program (PWIP) is a one stop employment service for job seekers with disabilities which provides job seekers with disabilities with tools to prepare for a career or secure employment. PWIP provides the supporting the development of individual vocational plans and portfolios specific to the career needs of the participants, .providing tuition to project participants as needed, accessing a wide range of employment programs and opportunities, enhancing participants' pre-employment skills development, reducing barriers in the workplace by engaging employers in a successful, recognized best practices model program and acting as a resource to assist stakeholder groups in creating an inclusive workplace. The Government of Manitoba is excited to be able to take part in the Ability Axis Employment Expo. We are committed to diversity and to an Employment Equity Policy that achieves a civil service workforce that is reflective of the citizens it serves at all levels. We have some exciting employment programs specifically for job seekers with a disability and look forward to sharing this information with you. The marketAbilities Program (formerly called Vocational Rehabilitation) of Manitoba Entrepreneurship, Training and Trade (ETT) offers a wide range of employment focused services to assist eligible adults with disabilities in preparing for, obtaining and maintaining employment. Case coordination and vocational counselling services are provided by Manitoba Family Services and Labour, Regional Health Authorities and the three designated agencies funded by ETT (Society for Manitobans with Disabilities, Canadian National Institute for the Blind and Canadian Paraplegic Association). For eligible participants requiring little or no support in preparing a vocational plan, a Self-Directed Option is also available. Manitoba Entrepreneurship, Training and Trade Small Business Development is located in the Canada/Manitoba Business Service Centre. We offer free assistance to entrepreneurs who are dreaming of, starting, growing or selling their business. We have a wide variety of services from business counselling, business workshops, a business research library and more. Similarly, the Entrepreneurs with Disabilities Program of Community Futures Manitoba helps people with disabilities or health conditions start their own businesses in rural Manitoba. We both look forward to meeting you at our booth on May 17th! The Department of Family Services and Labour is committed to improving the quality of life for Manitobans through furthering social, economic and labour market inclusion of all citizens. We strive to ensure that diversity is respected, that people feel accepted and valued, and live with dignity and security. We work with the community to support Manitoba children, families and individuals to achieve their fullest potential. Reaching E-Quality Employment Services (REES) is a community-based employment service with a consistent track record of assisting people with disabilities or health conditions to gain employment. Our mission statement is “to promote, facilitate, and maintain the employment of people with disabilities or health conditions by providing diverse and customized employment, training and consultation services”. Our services include one-on-one employment counseling and marketing, group seminars, resume and cover letter assistance, and employer and community workshops in the areas of Job Accommodation, Disability Awareness, and much more. REES . . . Better REESources; Better REESults. Sair Centre of Learning is an Employment and Training Centre providing individualized employment services to participants experiencing mental health issues or learning disabilities to assist them in choosing, securing, and maintaining paid employment. Small group trainings are available in a number of self-development areas utilizing advanced communication, goal-setting, and personal change technologies. Referrals are accepted from marketAbilities Program staff and Community Mental Health Workers. SCE LifeWorks supports job seekers labelled with a developmental disability to find work in Winnipeg. We also help businesses find great employees and to diversify their workforce! We are an NPO proud to be celebrating our 25th anniversary, providing solely inclusive (community based) services to Manitobans. SCE LifeWorks champions innovative endeavours such as Project SEARCH, as well as the "Celebrating Progressive Employers and Capable Employees" series in the Winnipeg Free Press. We are proud to be a supporting partner of the Ability Axis Employment Expo. Service Canada offers single-window access to a wide range of Government of Canada programs and services for citizens including Social Insurance Numbers, Employment Insurance benefits, Canada Pension Plan/Old Age Security benefits. Service Canada Centres are also the first point of contact for clients seeking information on Government of Canada programs such as the Homelessness Partnering Strategy, New Horizons for Seniors Program, Opportunities Fund for People with Disabilities and the Youth Employment Strategy. The Employment Preparation Centre (EPC) has been providing vocational services since 1957. The EPC offers assessments, computer training, employment services & employment supports. Comprehensive Assessments of interests, aptitudes & academic achievement assist in identifying vocational options. Community-Based Work Assessments provide the opportunity to assess interests & ability for a specific job. The computer lab has 9 ergonomic workstations & training is offered several times per year. EPC offers employment services, resume development, interview skills preparation, information on job accommodations, work trials, job marketing & job placement. Employment Development Specialists & Employment Facilitators work with individuals & employers to ensure successful job matches. TD is a great organization powered by great people who want to make a difference every day. Our over 81,000 employees world-wide are a big part of what makes TD stand out from any other organization. Every day, we deliver legendary customer and client experiences to our approximately 19 million customers. We’re an award-winning organization that reinvests constantly to ensure future growth. We’re recognized as an extraordinary place to work that embraces diversity, where everyone is respected and valued. TD is the sixth largest bank in North America by branches, with many exciting and challenging career opportunities. Trailblazers is a non-profit organization which supports adults living with disabilities to find meaningful employment within the community. We are committed to creating and sustaining supported employment opportunities; we endeavor to create a diverse workforce and maintain strong community relations. We strive to maximize the full participation of persons living with disabilities in all segments of the workforce. Job seekers are supported through the stages of acquiring paid employment. Our employment consultants assist job seekers in developing an employment strategy that is customized to each individual, and developed to overcome barriers to employment. WASO Employment Services provides assistance and supports to individuals living with disabilities throughout the entire employment continuum. We offer individualized programming in order to provide the specific supports that are required by each person. Our services include (but are not limited to), resume preparation, interview training, career exploration, preparation for employment, support during the job search, on site assistance for the new employee to ensure they reach their comfort zone as quickly as possible and ongoing follow up for as long as required. The Workers Compensation Board of Manitoba has been recognized as one of Canada's Top Diversity Employers and Manitoba's Top 50 Employers. The WCB is an injury and disability insurance system for workers and employers, paid for by employers. The WCB workforce is made up of approximately 500 people who provide service to about 30,000 employers and help about 32,000 injured workers annually. The WCB is committed to building a skilled, diverse workforce with representation from persons with disabilities. Come visit us at our website or at our information booth to learn about all we have to offer as an Employer. We would like to thank and acknowledge our Partners in the 2012 Expo. Through their networks and contacts, they help spread the word about the Employment Expo. All events were held at the Victoria Inn, 1808 Wellington Ave., Winnipeg, MB on May 17, 2012. With the exception of the Breakfast, the Expo was free. ASL Interpreters were available during the sessions noted by the * above. As well, we had an interpreter available in the Exhibit area to assist attendees. You can read about the speakers that were featured at the 2012 Ability Axis Employment Expo. In this dynamic and thought-provoking workshop, Denise inspired students and job seekers to move beyond barriers in their thinking about what they have to offer the work world and what the world of work has to offer them! 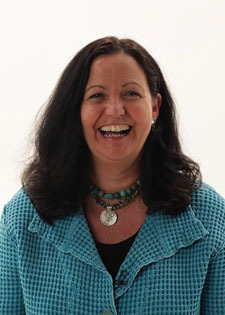 A Partner in Diversity World, Denise Bissonnette is an internationally renowned writer, trainer and keynote speaker. For two decades, she has inspired people and organizations throughout North America to look beyond traditional concepts of job and career development and to craft livelihoods rooted in the individual genius of each person. She has authored several publications on creative job development, state of the art job search techniques, the cultivation of the human spirit, workforce diversity, and how to "shine" on the job. Having designed Oracle Corporation’s workforce diversity training program, she has delivered keynotes and seminars on diversity and inclusion to organization such as the U.S. Business Leadership Network, the Los Angeles County Multicultural Conference, and the National Association of Workforce Development Professionals. With a style all her own, Denise's work is a rich tapestry of her talents as a poet, writer, storyteller, teacher and career developer. "Jump up and down, do whatever you have to do - but don't miss a Denise Bissonnette training event!" "Denise's training is extremely practical, but more important... I feel my passion and purpose again!" "I have been working on this annual conference for eight years. In all that time, with 3 or 4 keynote presenters at each event, there have only been three standing ovations... they were all for you." to employers, this presentation went directly to the heart of the belief systems about disability that prevail in workplace cultures – and how they cost business dearly. In his remarks, Gary offered us a fresh, current look at the new truth of the disability experience. He explained how observable changes such as greater mobility, higher levels of education, empowerment through technology, and other dramatic trends have changed the face of the face of the workforce that is represented by people with disabilities. While they are indeed an emerging force in society, the true potential and productivity of people with disabilities remains untapped as we remain stuck in old models that no longer fit. A business critical issue, Gary’s talk was pertinent both to how we address applicants and new hires with disabilities as well as how we respond when an existing employee acquires a disability. The foremost goal of the session was to help everyone relax, so they could get down to building effective working relationships with people with disabilities. Gary Karp is an internationally recognized public speaker, corporate trainer, author, and editor. In November, 2007, he was inducted into the Spinal Cord Injury Hall of Fame as a Disability Educator (click here to visit Gary's website). He has been living — fully — with a T12 spinal cord injury since 1973 when he was injured in a fall from a tree at the age of eighteen. 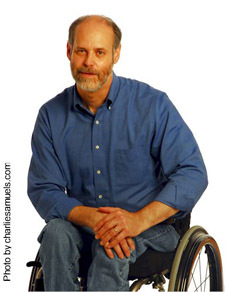 Gary is the author of three books "Life On Wheels: The A to Z Guide to Living with Mobility Issues", "Choosing A Wheelchair: A Guide For Optimal Independence", and "Disability & The Art of Kissing: Questions and Answers on the True Nature of Intimacy," all widely reviewed as definitive guides for people with disabilities. His book of essays by people with spinal cord injuries — co-edited with Stanley Klein Ph.D. — is titled "From There To Here: Stories of Adjustment to Spinal Cord Injury". His investigative articles and profiles have appeared regularly in New Mobility magazine, and he is the former Executive Editor of SCI Life, the quarterly newspaper of the National Spinal Cord Injury Association (NSCIA). Gary's commentaries have been heard on KQED-FM, San Francisco's NPR affiliate. Gary is sponsored by the Christopher & Dana Reeve Paralysis Resource Center for speaking in rehabilitation settings and to university students of physical and occupational therapy across the United States. As a corporate trainer on disability and employment Gary makes the business case for working with employees with disabilities, helping companies embrace and benefit from the dramatic, historic emergence of people with disabilities as employees and as consumers. His customers have included Applied Materials, Hitachi, Lockheed Martin, Silicon Valley Industry Liaison Group and the U.S. Business Leadership Network. Gary lives in Northern California with his beloved Labrador retrievers Trilby and Nava Leah. “You did a stellar job of educating us on the realities and expectations of people with disabilities in the workplace. It is easy to recommend you after the phenomenal job that you did for us." "Our Human Resources Business Partners, Diversity, Labor Relations, and Staffing representatives were so pleased to get such an unexpectedly fresh and current view of disability and its incredible transformations, thanks to your natural skills as a facilitator and teacher in this excellent training." A practical and insightful examination of useful strategies, tips and examples that assisted participants to determine when and how to disclose their disability during their job search or other situations that arise in their employment experience. 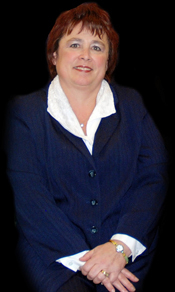 Marianne has 20+ years of expertise in both private and public business sectors, including over ten years in a unionized manufacturing environment, experience working with the City of Winnipeg, over seven years in Membership Services and Development with The Winnipeg Chamber of Commerce, Recruiting Manager with a national firm, and currently as Employer Liaison Representative with Reaching E-Quality Employment Services (REES). As Employer Liaison Representative for REES, Marianne is responsible for working with employers to facilitate employee and accommodation opportunities for people with disabilities; providing representation on many relevant employer, government, equity and community committees and advisory boards; and working internally with consumers/clients to provide Interview Skills Workshop training sessions using employers for Mock Interviews. Marianne brings together both the business and community perspectives and demonstrates this balance while creating and delivering workshops and in providing consultation services with both employers and employees. Chris was the winner of the 2011 Just Watch Me! Video Contest through Community Futures Entrepreneurs with Disabilities Program (EDP). 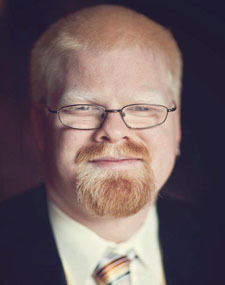 Chris Gaulin is an independent IT consultant based in Winnipeg. Chris owns and operates a wireless Internet service provider, Wi-Fi Country Inc, which offers high-speed Internet access to rural communities in Manitoba. Since 1998, he has deployed web hosting infrastructures, countless custom web applications, as well as voice-over IP solutions. Chris also works as a Website Architect and Project Manager for a national non-profit organization, where he has brought tremendous skill and commitment to his work developing a highly informative and accessible portal for students and graduates with disabilities. With over a decade of experience auditing and developing accessible web sites, Chris regularly brings his expertise in W3C standards to non-profit organizations as well as government agencies. We are very grateful to the following organizations for their Sponsorship of the 2012 Employment Expo! Please be sure to visit their websites.